Mavis wants to help her friend Wendy, an adorable little green blob with a heart of gold, who lives at Hotel Transylvania with her family. Other monsters keep telling Wendy that she is too cute and too little, and Wendy is sick of it! Mavis sets out to help Wendy prove she’s more than just an adorable little blob, but in the process, she accidentally turns Wendy into a giant! This paperback edition includes two sheets of spooky stickers! ™ & © 2019 Sony Pictures Animation Inc. All Rights Reserved. 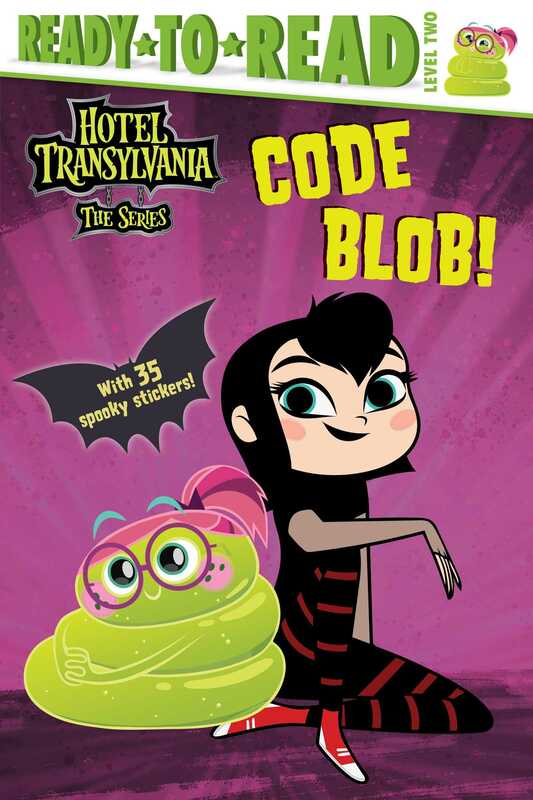 Book Cover Image (jpg): Code Blob!